Iridescent Taffeta dress with a shirred scoop neck bodice and spaghetti tie straps. 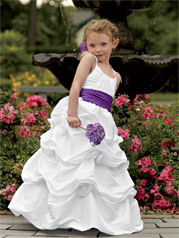 Full tufted floor length skirt with accented with matching flowers. 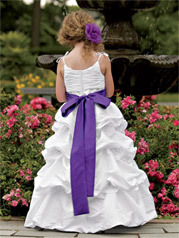 Contrasting satin waistband and bow. Available in ankle & floor lengths.